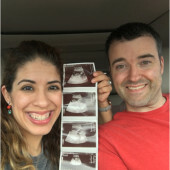 Thank you for taking the time to visit our registry! They say it takes a village to raise a child and we are thankful you are a part of ours! In lieu of cards please consider purchasing a book to add to our baby's collection. We can't wait to share Baby Carr with everyone!